Quantity and Partitioning are some of the most important concepts for students to understand to develop Number Sense in the Early Years from Kindergarten to Grade 2. By fixing these, we can catch kids up quickly and effectively on concepts that should have developed from K-2, building a firm foundation for later learning. Morning tea, lunch and tea and coffee are all included. Cancellation Policy: Due to very high demand for Kennedy Press professional development, please note that a 50% cancellation fee applies to this booking and no refund will be offered for cancellations less than 48 hours before the booked session. Name changes are permitted at no cost. 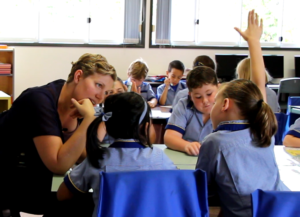 31 available	 Registration for 1 day PD Workshop - Teaching Early Number Concepts with Leah O'Neill at Harvest Home Primary School on 24 Apr 19 $150.00 Registration for 1 day PD Workshop - Teaching Early Number Concepts with Leah O'Neill. INCLUDES: Catering plus a Fixing Misconceptions in Addition and Subtraction book. ** Note: A cancellation policy applies to this ticket.